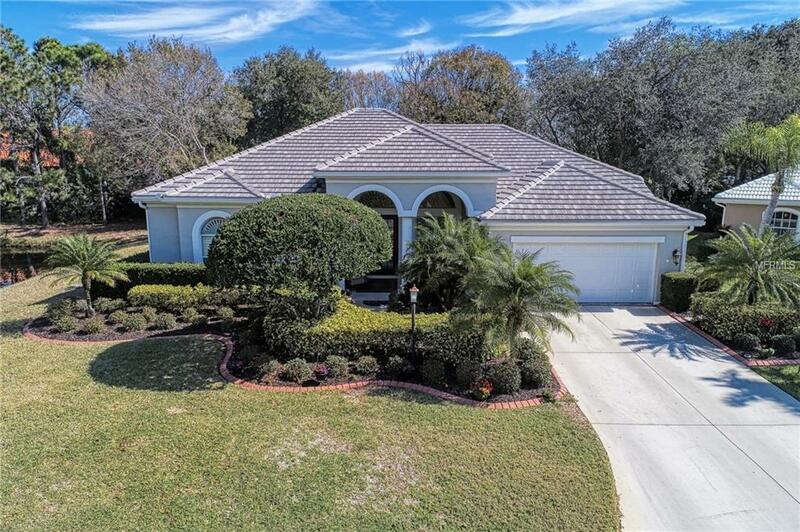 What a fantastic country club lifestyle...wonderful 4 bedroom/ 3 bath custom Arthur Rutenberg home in located in the gated, member only Venice Golf & Country Club. A lovely cul-de-sac setting, pond with fountain view from lanai. Enter through 8 foot double doors with fan windows above into the foyer to soaring 12 foot ceilings. Almost 2,800 sq ft with a split floor plan. 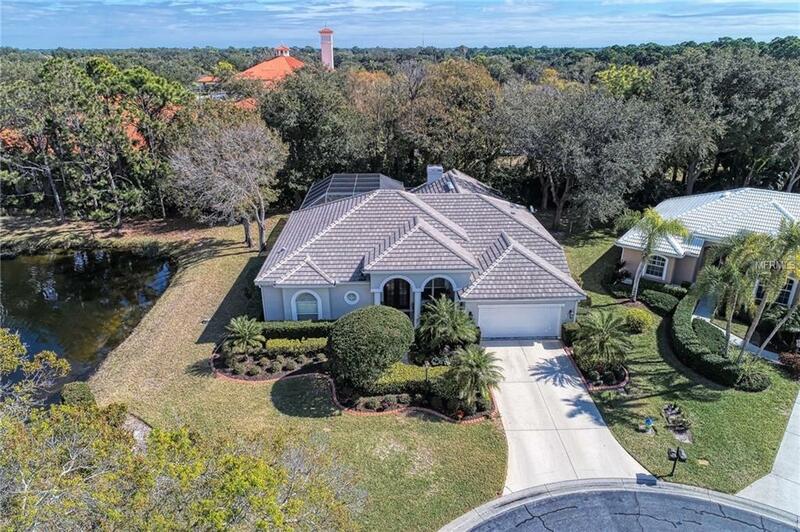 Wood floors in the dining & living...the master bedroom is private off living room, walk in closet, built-ins, 2 sets of sliding doors to lanai with plantation shutters, updated master bath. Lots of room to gather at the long breakfast bar in the updated kitchen, granite counter tops, stainless steel appliances, separate eating area with its own counter & cabinet area for tableware & toaster. coffee pot with a fishbowl window. Kitchen is wide open to the family room with its wood burning fireplace and built-ins, room for large television. 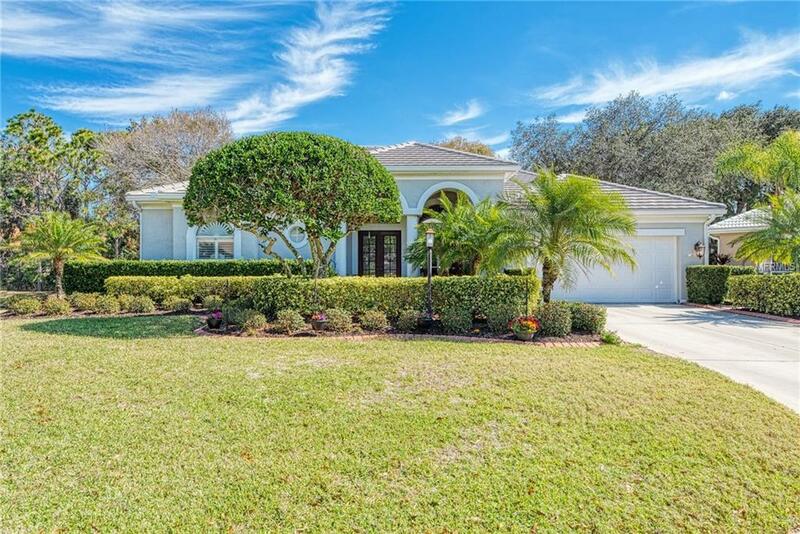 Large sliding doors to the fabulous lanai area with pool, bubbling spa & outdoor shower...sliding doors abound on the lanai for great flow. Additional bedrooms off the family room... guest room with its own bath ... additional two bedrooms share the third full bath. Lots of windows, lots of sunshine...what we want in Florida. 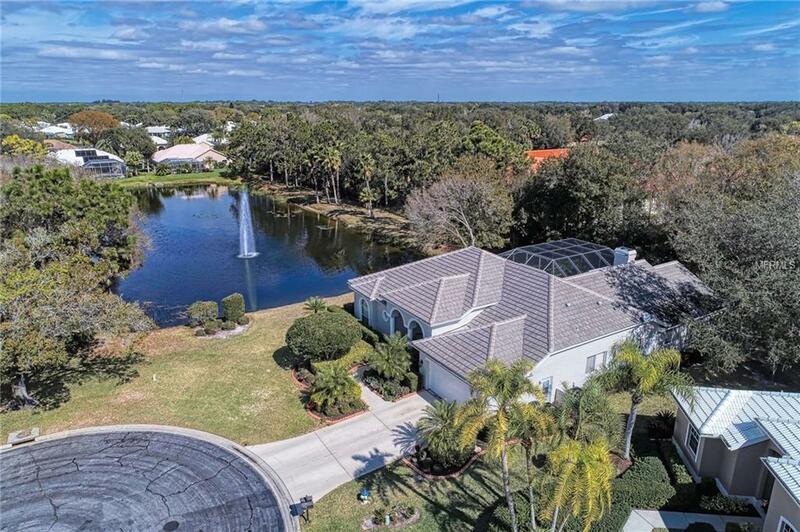 Venice Golf & Country Club is an award winning community lush landscaping, serene, private & desirable. VGCC does require membership of all homeowners. 1 time membership fee of $10,000 and annual membership plan.